- This elephant collects the runoff water and directs it back into the sink through his nose. - The cutest way to dry your cutlery. 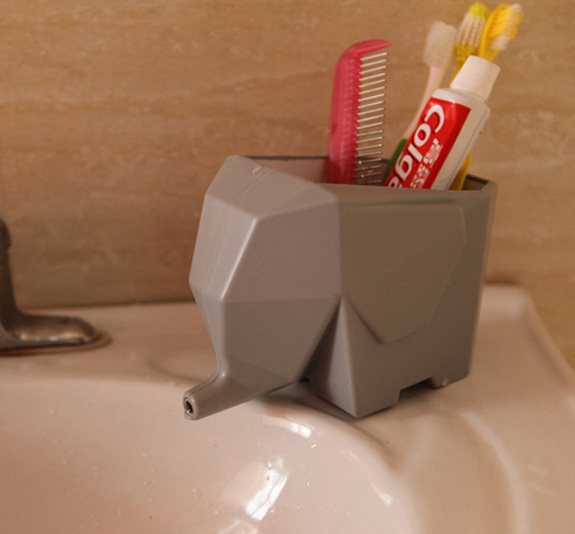 - Dry your cutlery in this sink-side elephant.